OTTOBAR: The Strangest Bout Ever Caps Off Our Baltimore Card! So far, we’ve announced three bouts for our Ottobar return, December 15th in Baltimore, Maryland. We’ve got title defenses. We’ve got grudge matches. We’ve got artists old and young. But what would be that one thing to put it all over the top? Well, on one side, we need an adorably cuddly Kaiju. On the other side…uh. Well. It’s something unique. Someone from a place not quite here. Someone who only limited audiences have seen, and experienced. LETS GET WEIRD! GET YOUR TICKETS! 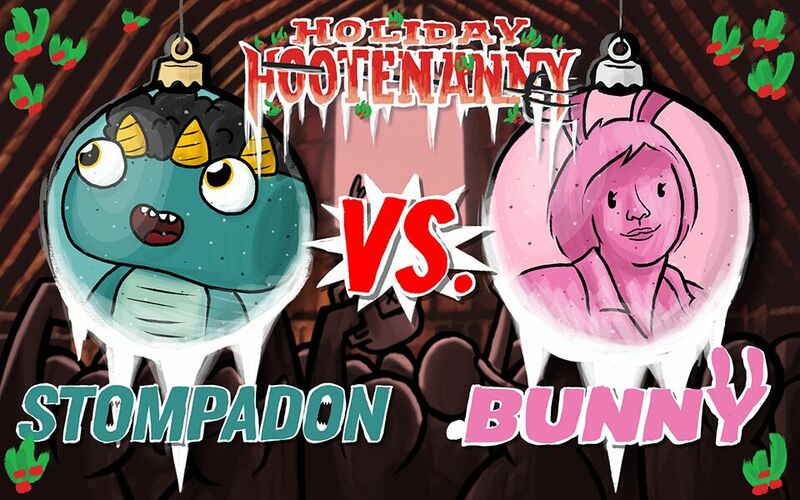 OTTOBAR: All the Last Minute Details and Information for the 37th Annual Holiday Hootenanny! OTTOBAR: Tag Team Title Mayhem Marks Bout #3!